The thing I love and hate about Kettlebell Sport is how freakin' long it takes to progress, especially when you start lifting the heavier bells (20kg and above). Initially, shifting to the heavier bells requires time because you need to build up the joint strength to be able to support the bell overhead safely for 10 minutes. Once you get past that point, progress is still slow because of the mental challenge of lifting such a heavy bell, as well as the fact that every small change in your technique requires you to go back down to the lighter bells to fix. Yes, in order to go UP - you must first go DOWN! 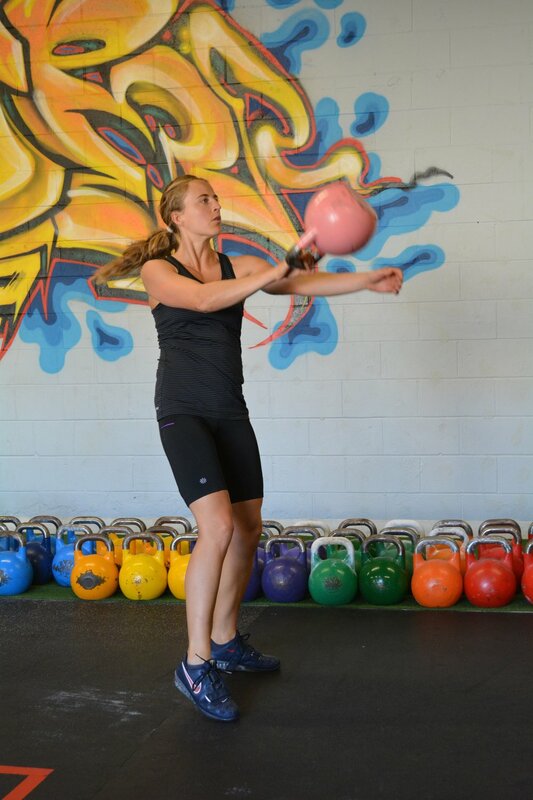 Adjusting Kettlebell Sport technique requires ingraining a subtle change into your neuromuscular system, meaning you must repeat the change over and over again until it becomes automatic for your brain and body. This is not possible to do with the heavy bells, as they tax your body too much physically to properly execute the new technique that will lead to neuromuscular change. If something is off with your form using the light bells, you can bet that mistake will become even more apparent when you go up in weight - costing you repetitions and possibly even leading to injury. The message here is: Always work on refining technique with light bells (light being relative to the athlete's fitness). Even if you are already lifting heavy, take the time to analyze your set - video, a mirror, someone watching you - and improve your technique. Going back down to the 8kg, 12kg, or 16kg to refine subtle nuances of your lifting can be frustrating, but will be well worth it in the long run!